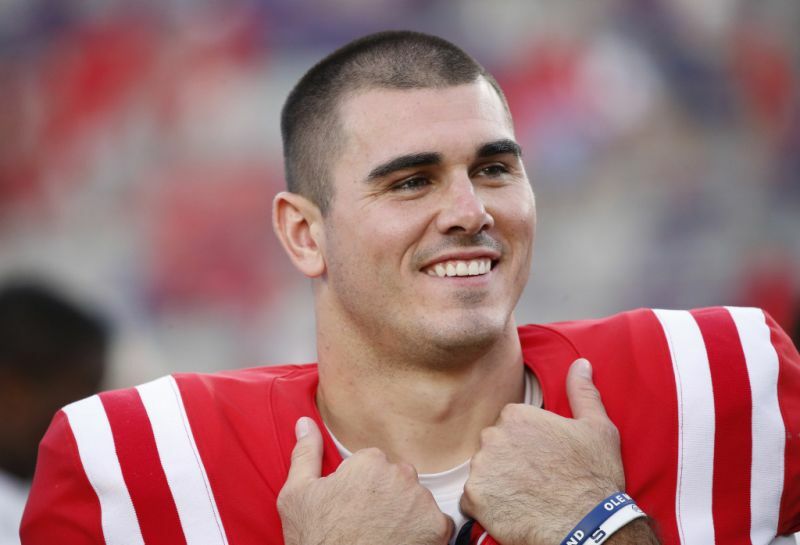 Chad Kelly emerged as the Mr. Irrelevant (a title bestowed on the last pick of the NFL Draft for each year) of the 2017 NFL Draft. Denver Broncos saved the quarterback from going undrafted by selecting him 253rd overall (final pick) in the 7th round of the 2017 NFL Draft. Before then, he played college football at Clemson University and Ole Miss. Learn more about him below. Kelly was born as Chad Patrick Kelly on the 26th of March 1994 to Charlene Cudzylo and Kevin Kelly. His father’s older brother is a former NFL quarterback Jim Kelly, who spent almost his entire professional career playing for the Buffalo Bills. Chad spent his early childhood years in Western New York, (his mother’s home area) which was not so far from where Jim (his uncle) stayed and played football. He visited his uncle regularly and with time, he developed an interest in the game. Soon he began performing in kick, pass and punt competitions. Due to his father’s job as a supermarket manager, he was soon reassigned to another branch of the supermarket in Red Lion, Pennsylvania, thus, the family moved to the area. Kelly started attending Red Lion High School where he played in the school’s football team but was soon removed from the team following unexplained disciplinary measures, thus, he had to return to Western New York. Back in western New York, he attended St. Joseph’s Collegiate Institute, Tonawanda, where he also played with the school’s football team. As a junior, he rushed for 1,059 yards with fifteen touchdowns and passed for 2,159 yards with twenty-four touchdown and as a senior, he passed for 3,050 yards with twenty-seven touchdowns and rushed for 991 yards with fourteen touchdowns. Rivals.com rated him a 4-star recruit and he was also ranked among the top dual-threat QBs in his graduating class. After high school, Kelly committed himself to play college football at Clemson University. He was redshirted during the 2012 season. The following year, he played in just five games, rushing 117 yards and passing for fifty-eight yards. The next year (April 2014), Chad was dismissed from the team due to a misconduct which was deemed detrimental to the team. He immediately transferred to East Mississippi Community College, where he spent one year in the football team. During his one season with the team, he appeared in a total of twelve games passing for 3,906 yards with eight interceptions and forty-seven touchdowns. He led the team to victory in the NJCAA National Football Championship and a 12-0 record. In December that same year (2014), he committed to the University of Mississippi and was named the starting quarterback in his first year. At the end of his first season with the team, he averaged 65.1% completions for thirty-one touchdowns and thirteen interceptions and finished with a 10–3 record becoming the first Ole Miss QB to lead the Rebels to wins over LSU, Auburn, and Alabama, in the same season. Chad Kelly would end his senior season prematurely after suffering a torn ACL and a torn lateral meniscus. He became the Mr. Irrelevant of the 2017 NFL Draft after Denver Broncos selected him 253rd overall in the 7th round of the Draft. He was, however, placed on reserve/non-football injury list after undergoing a wrist surgery during the offseason. He appeared in the minicamp with the team for the 2018 season and competed for the backup QB position with Paxton Lynch behind Case Keenum. 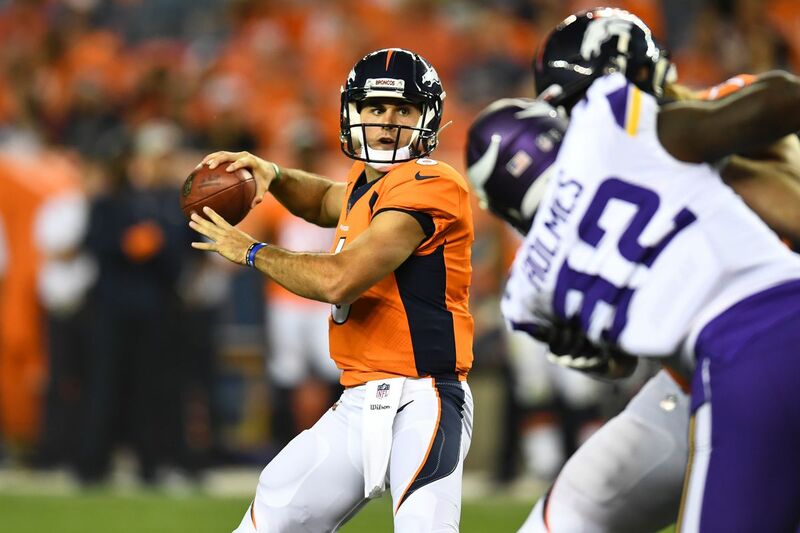 In August, the team announced his promotion to the second team where he would be acting as Keenum’s backup. The Broncos quarterback stands at a height of 6’2″ (1.88 m) and weighs 95 kg, the equivalent of 209 pounds. Kelly was arrested outside a nightclub in Buffalo, New York in 2014 after he got into a fight with a bouncer. When the authorities came for him, he resisted arrest. He was initially charged for a crime but that charge was later dropped for and he was charged with disorderly conducts for which he had to undergo fifty hours of community service. He was once in a relationship with Nicole Bell but the pair separated for an unknown reason and move on with their lives. Bell is currently in a relationship with Zac Hauther and for Chad, he seems to be concentrating more on his career at the moment.